Use the fireplace for heatingappropriate, rather from an aesthetic point of view, than practical. The fire soothes and harmonizes the mental and emotional state of nature. Fireplace - the main decoration in the house, but beyond that, it fulfills the function of drying space and increases air circulation. Most modern fireplaces are made of theseparts: the furnace, the air distribution unit and the smoke and the lining. Hearths for fireplaces are the main element, the heart of the fire, which burns the fuel directly. 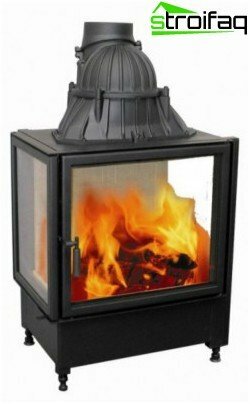 There are furnaces for cast iron fireplaces and outdoor fire clay. These furnaces are not embedded in the fireplace portal, theyintegral with it. 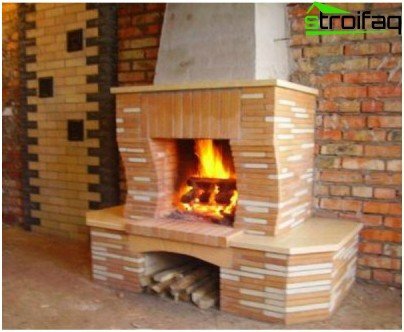 In the manufacture of such furnaces used carefully polished Fireclay refractory brick, which has a perfect shape. To the bricks do not crumble and sprinkle seams between them makes less than 3 mm. The walls of fireclay furnaces have to be perfectly smooth, it will provide a proper reflection of the heat into the room. 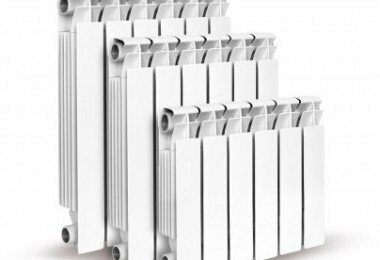 The efficiency of heat transfer depends on the furnace open fireclayon its shape. 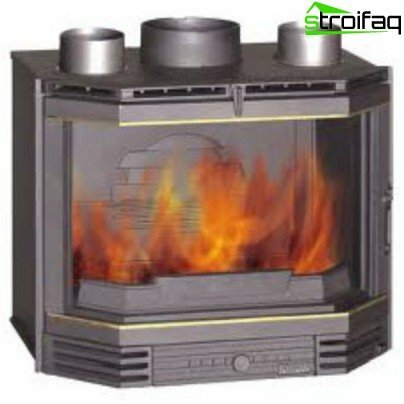 If the furnace has a vertical rear wall and two parallel vertical side, the heat of the fire is very low. Since only one reflects heat back wall. 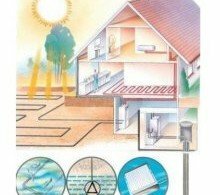 If the back wall of the furnace is tilted into the room, and the side is also deployed in the direction of the room, the heat will be reflected on all three walls. For the arrangement of wood-burning fireplaces sometimesuse a cast iron firebox. Inside the furnace burned wood, and the furnace keeps the heat in the fireplace. Such furnaces can be either an open or closed. 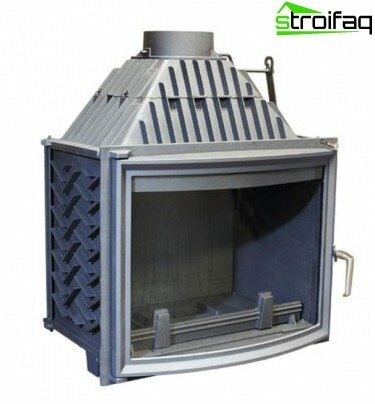 Today more and more popular furnace for cast iron fireplaces closed type. They are glass-metal module various forms: classic, radial, in the form of a prism, a tunnel, angular, architectural, custom. Inside the unit is a fire. The door opens either upward or sideways. 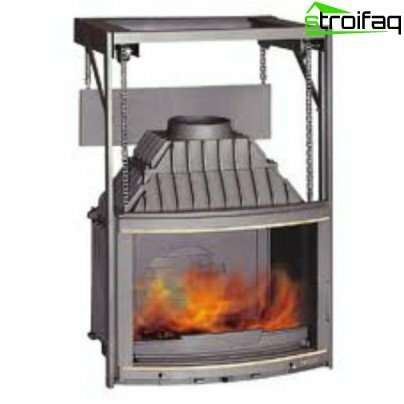 Classical furnace has a glass front panel width 1 m, height - 0.8 m.
Radial or semi-circular furnaces have a semicircular glass. A furnace in the form of a prism - prism. The tunnel furnace is equipped with a glass rear wall. It is very convenient if the fireplace into two rooms. From each room you can watch the fire. Corner inserts have an angular frame and glass. 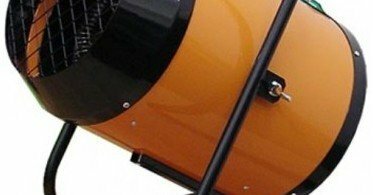 Architectural furnace may have a different form: convex, concave, arched, extended in width or height, and shape of a full circle or an ellipse, which is achieved by using a 360 degrees. Any non-standard furnace is made to order. Some models are equipped with dymoottalkivayuschim layer on the glass, so that the door does not settle on the black. The rear wall of the furnace with iron is performed a plurality of protrusions. This design is somewhat similar to the battery and increases the heat transfer area. 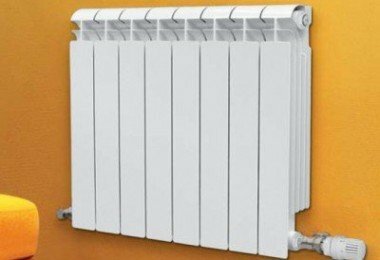 Between the furnace and mantel there is a gap, which also plays an importantrole in heating. 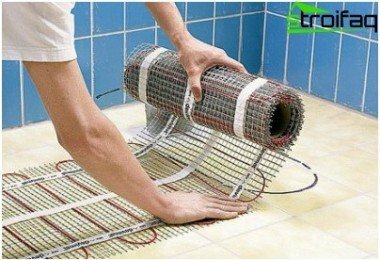 The wall of the furnace is covered with heat-insulating material, the air between the back wall of the fireplace and the furnace is heated and enters the room, penetrating through special vents. 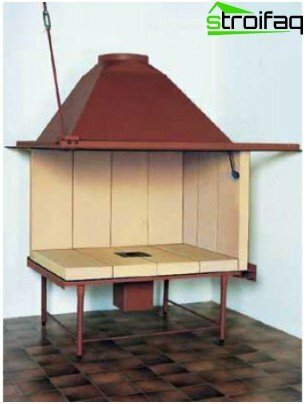 The classic open-hearth furnace can be made of firebrick, cast iron or steel. The efficiency of the fire is not more than 30%, so set it to decorate the room. A fireplace with an open firebox requires a thoroughFireproof foundations made of bricks or concrete. 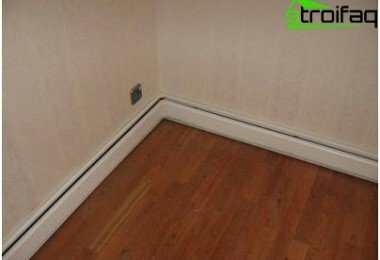 On a wooden floor, you can not install such a fireplace. The floor in front of the fireplace on 0,7-1 m is also laid with refractory material. Most often it's a tile or a stone. 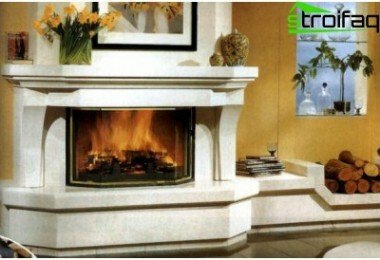 Install outdoor fireplace must be in a carrier (non-wood) wall in a large common room. The relatively cheap option (will have to pay for the brick and stove-fitter's work). It may seem that much more disadvantages,than merit, it is not. After all, everything is relative. It is necessary to weigh all the pros and cons, prioritize, and if the efficiency of the fire is not critical, it is possible to choose an outdoor fireplace. 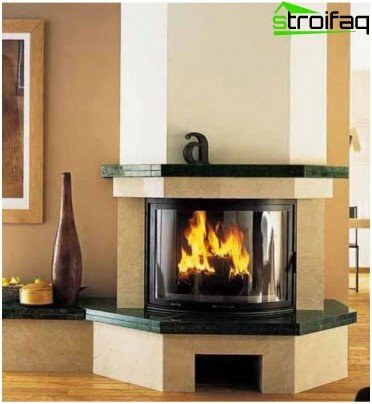 In such fireplaces combustion chamber is closedshape and is made of cast iron or steel. One or more of the walls is designed as a glass door. There are models in which the door goes up and hidden under the lining with a special mechanism. Thus, the fireplace becomes open. At the bottom of the furnace is another camera: the ash pan. From this air enters the combustion chamber. Correctly executed lining of the fireplace hides all mechanical devices, and a fireplace becomes quite traditional look. There are modules that simulate the fireclay bricks. The high price of high-quality models. 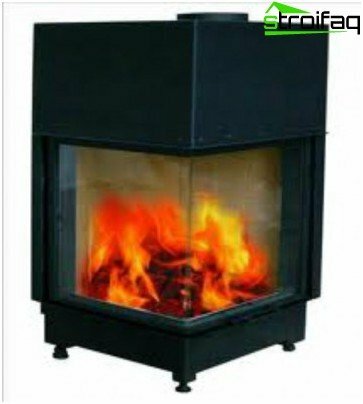 This type of fireplace is ideal for heatingpremises without the danger of fire. The lining can be done most resembles a traditional fireplace, and is sometimes used with the door open, enjoying the game of the flame.